So, maybe you’re asking, “What’s a growler bar?” And if you’re asking that, you’re definitely asking, “What’s a growler?” Friend, you’re a lucky person because you’re about to be introduced to what we modestly believe is the world’s best way to enjoy your beer. Ready? Drop your chin. Now look directly down. See that? It’s your belly button. The center of your universe. The Pearl Street Beverage growler bar is like that, only it’s the center of the fresh beer universe. Except, unlike belly buttons, not everybody has one. In fact, the Pearl Street Beverage growler bar is pretty darned unique in these parts. Every week, we feature 8-12 different super-fresh beers (and sometimes cider!) that you cannot find in a bottle or can anywhere. 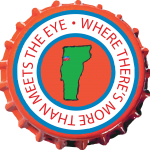 It comes from Vermont or anywhere else in the world where somebody’s making a great brew we think you’ve gotta try. Sometimes it’s just out of the brewery, and sometimes we’ve specially-aged it for you. Quite simply, we think it’s the world’s best way to enjoy beer and cider. We serve up this truly wondrous stuff in a chilled 64-ounce growler, 32-ounce growlette and a 750-milliliter Squirt! Don’t forget to join our loyalty refill program for $1.00 off any size. 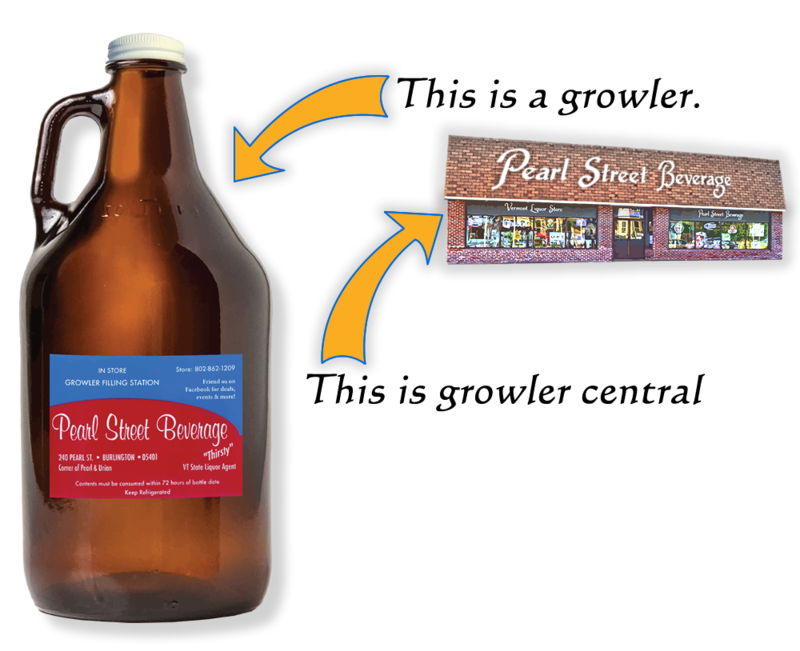 It’s the environmentally-friendly way to buy beer because you just bring your growler back when you’re done. You’re happy, the environment’s happy, life’s good. Like us on Facebook and you’ll really like what you get: weekly updates on the latest insanely fresh beers and ciders at our growler bar.